PayTabs, a payment processing solution company co-owned by Saudi Aramco Entrepreneurship Ventures (Wa'ed), is set to launch its online payment processing solutions in Bahrain, Saudi Arabia and the rest of the GCC. The company also intends to target the entire Mena region in the coming months with its products, it said. The Middle East E-Commerce market is expected to reach a staggering $15 billion by 2015. The biggest dilemma that SME’s and small businesses in this part of the region face is not having a suitable online payment service provider to cater to their needs. 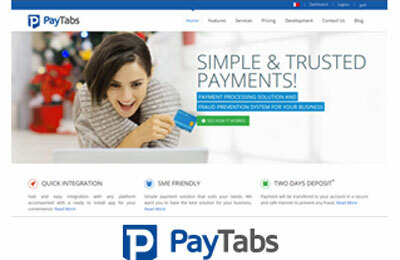 PayTabs aims at accommodating the needs of the online retailers as well as all those who aspire to start a business online with its simple solutions. The service will comprise two premium solutions - PayPage, the online invoicing system and eCommerce plugin & API integration which are ready to integrate APIs with any e-commerce website in the Middle East. The online invoicing is a feature that can be used for online payments even if the entrepreneur does not have a website and has been designed to serve the needs of the smallest online entrepreneurs. The biggest advantage that PayTabs is offering to all online merchants and retailers is quick integration and the direct transfer of payments to their bank accounts with dual layered anti-fraud protection through integration with a leading company in fraud management. AbdulAziz AlJouf, founder and CEO, said: “One of my many ventures was an Online Retail Store. We had great products but we always had issues with accepting online payments. I faced the same problem that millions of others in this region face. Then one day, I said to myself that why do we have to wait for someone else to make a payment solution? Why don’t we do it on our own and this is how we started working on it.